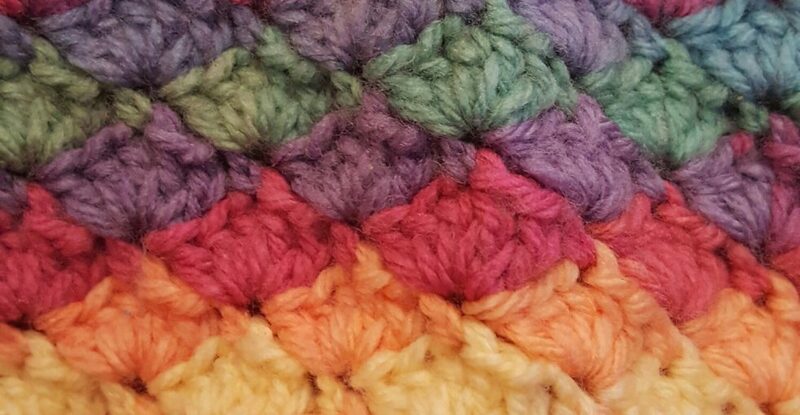 Apologies for the delay with this penultimate post in the A-Z of crochet, I was faffing too much to get the photo I wanted! I’m going to begin by saying the word ‘yarn’ does not come naturally to me as a Brit, and I definitely don’t say it out loud (especially in the company of my mum, who would probably laugh!) The word ‘wool’ is more commonplace in my vocabulary, despite the fact that it is technically incorrect as I use very little pure wool. However, I could talk about yarn/wool all day if I was given a chance! Anyway, moving on, yarn is of equal importance to hooks when it comes to crochet. There are so many different types you can buy, from fancy synthetic yarns to all natural wool or plant based yarns (such as cotton and bamboo). As well as different materials, the different weights of yarn are important to consider when making a project. A lot of easily available yarn seems to be double knit and my ‘stash’ reflects this. The cotton I have is much thinner and needs a 3mm hook to work it up, whereas the chunky yarn which I bought 400g of )with no idea what to make) needs a 6mm hook. There are also infinite colours of yarn, including variegated (my favourite!) I’m going to focus my post on the types of yarn and what they can be used for. A really popular yarn type because it is cheap and comes in many colours and weights. It’s a pretty versatile yarn type for toys and things like blankets, which use up a lot of yarn and require regular washing. It is also (depending on the brand and quality) quite a soft yarn for baby items, and it’s durability also makes it ideal for these. It’s often the first yarn people work with because it is so cheap and easily available. I personally if desired hat when used for garnett sphere size matters, e.g. hats or cardigans, it can be a little prone to stretching in the wash.
Of the various plant based yarns, I only have experience of working with cotton. As opposed to fancy yarns, cotton gives excellent stitch definition. It is also quite stiff compared to acrylic and can easily split if you aren’t used to it. I have used cotton to make Christmas decorations such as snowflakes and it responds really well to blocking and starching. It also seems to be a popular choice for projects such as bags, and loose tops like beach tunics as well as things that need to be absorbent such as dishcloths. I’ve never used it for any of those things, but I have recently dabbled with making cotton scrubbies. I have heard wonderful things about bamboo yarn, and it’s on my ‘would like to try’ list. I could talk for ages more about yarn and what to avoid (sometimes cheap isn’t best!) but I’m going to leave it there as my next post covers a bit to do with colour and variegated yarns. 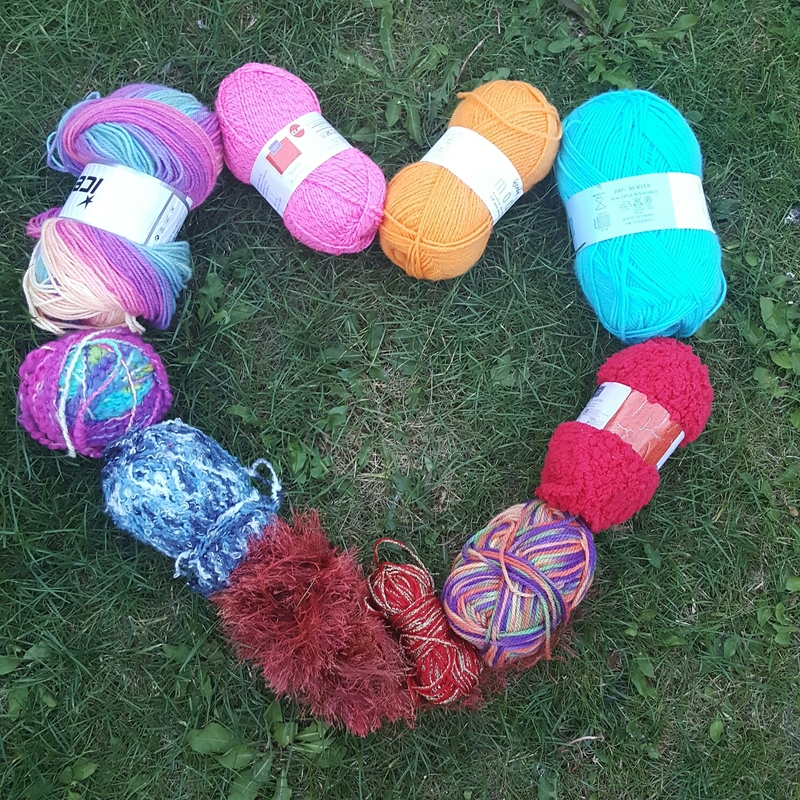 What is your favourite yarn type? Have you ever regretted your choice of yarn for a project? Why? Oh, you are going to love bamboo, I am almost sure of it. it’s so soft and silky! It’s only downside is that it’s quite easy to split the yarn if you aren’t careful. My faves are, of course, silk (and blends), laceweight wool, fine pima cotton, dk bamboo. Perhaps because I came to crochet from weaving, I am much more attracted to smooth and strong ‘string’ and thread then floofy yarns. Even my handspun tends to be quite tightly twisted. When I do want floof I usually go for alpaca. And I also love the lopi yarns which strike me as the most authentic of all wools. Take care, and great post! If you say yaarrrghn like a pirate, it sounds so much better!! so informative! makes me want to get started on my winter hobby now! it does! life slows a bit after the frost! Thank you so much for this post! As a newbie crocheter, I have so many questions about yarn! Can I reblog part of this with a link back to you or link to your blog on my blog? (Whichever you prefer-I’m new to blogging too :). I have a lot of friends in the same boat as me. Also, I’ve read several of your posts, and I started following you. I can’t wait to read more! Thanks again!